Our newest project, What Happens Next?, uses the power of storytelling and shared reading to connect prisoners and their families. 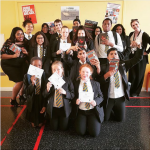 One of the Give a Book team tells us a little bit more about the project, which began at HMP Wandsworth in February 2019. Standing outside Wandsworth prison earlier this month, waiting with the rest of the team to head inside, I couldn’t help but take in the vast size of the building I was about to enter. Standing like a fortress just off Wandsworth Common, it’s hard to imagine that inside the walls an entire separate community operates. This was my second time in prison, and so the initial feeling of intimidation quickly passed and I felt more at ease as I knew the procedures of entering as a visitor. As we were escorted towards the visitors’ centre, passing by the cells and delving further into the building, the constant unlocking and locking of the doors distances you quickly from the outside world and it’s hard to ignore the feeling of enclosure. What Happens Next? 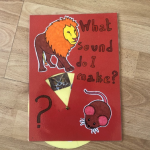 is a follow on from Making It Up a creative project where fathers create storybooks with their children. The storybooks serve as an extension of the father and a souvenir for their children. ‘What Happens Next?’ is a way for families to read together, to enjoy a story collectively and establish strong bonds. Being in prison, there are few opportunities for families to be together in a natural-feeling setting. By reading with their children, the fathers spend quality time together and are reminded that even in prison they have not stopped being a father or part of a family. It’s easy to categorise prisoners under one label and forget that they are still humans and citizens of the world with children and loved ones. These family days and projects aim to encourage reading for pleasure whilst bringing families together at the same time. Once inside the visitor’s centre, the team and I kept busy setting up for the project. 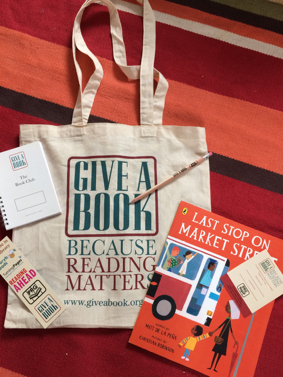 We gifted to each family the Give a Book bag with pencils and notebooks, set up paper and colouring pens on the tables for the families to use together, drawing and making memories. Once the families were welcomed insides, for those couple of hours, fathers were no longer prisoners and families were reunited. A typical family setting took over and the excitement for both the children and the fathers to see one another was heart-warming. 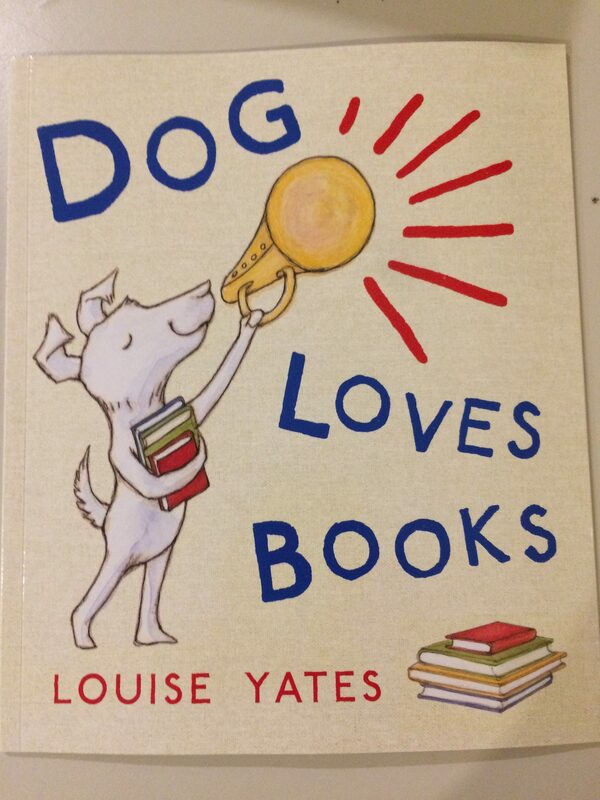 The session centred around the book ‘Dog Loves Books’ by Louise Yates, there was a lot of interaction and the children were all eager to participate in the activities. Firstly, the children had to think up an animal you wouldn’t find in a bookshop. Unicorn, chicken and bin lorry were all shouted out as the illustrator, Inko, who had come in specially, hastily tried to draw everything up at the front. The drawings were a huge hit and Inko was soon doing rounds of the room drawing horses, tigers and other creatures for the children. While Catherine and I struggled with displaying the artwork of the children on to the wall with post it notes, I couldn’t help but feel heartened by observing the fathers and their families. It was rewarding to see that the books and the project provided some normality for the families. I took comfort in seeing such an ordinary scene unfold. These moments are few and far between and so cherished that much more by the fathers and their families. The time flew by and reality soon kicked back in as the families said their goodbyes. Family contact and education are key for rehabilitation, and the fathers expressed their gratitude towards the team throughout the day. 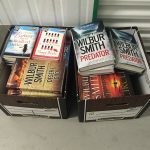 On my journey home from the project, not only was I overcome with a mix of sadness and fulfilment, but I felt I had truly seen the power of books behind bars. For me, reading is a way to get out of my own head, to explore an imagined reality and as the project demonstrates, is not a solo activity. A book is something which can be enjoyed collectively. 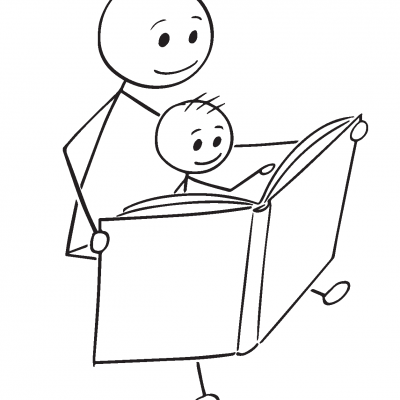 Reading not only benefits parents and children in terms of their vocabulary and mental stimulation, but also through the emotional attachment formed by both parent and child towards the story.